It’s September! I am now at the age to feel how time moves more quickly than my awareness, but I am not sorry. Where did the time go? Do I miss the moments? I hope the “moment” then evolved into the moments now, representing a gradual increase rather than the loss of time. It is only with the ones who passed away that I have missed time. For the rest, it is all still with me. I looked back at “What I Learned This Spring,” written early in summer. Considering what I learned this summer, like time and life, several of the items merely deepened. 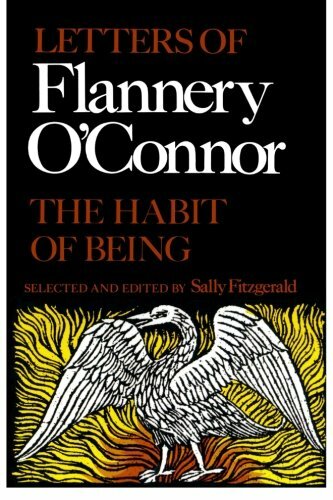 While I listened to the Hamilton soundtrack less, I spent the summer reading the letters of Flannery O’Connor, compiled in “The Habit of Being.” Alongside, I pick up her short stories as she discusses them in her letters. I wrote in the spring that I learned she is brilliant; this summer I learned she is wise, funny, poignant, kind, sympathetic, opinionated and faithful. I want to be like her. Her correspondence gave me the courage to send my writing out, to ask other writers for advice, and some exciting avenues developed from there. Are we willing to be vulnerable with our talents in order to improve them? In this individualistic society, how difficult is it to ask, “how’m I doing?” and get feedback. Seeing a writer, so polished, still asking for feedback, again and again, was inspiring. My ambition over the summer grew and as August waned, it became clear the focus must shift again. Perhaps I write that every three months: time to step back, to be present at home, etc, etc. Some of us need a push out the door. Some of us need a pull back inside. Balance is as individual as the individuals trying to achieve it. Let no self-help tell you differently. This summer we took everything we learned in spring about how not to take a vacation and applied it, rather successfully to our vacation plans early in August, which I shared about here and on my blog. Little by little, if we choose to reflect, we learn, little by little; if we choose to work, we improve. In this new season of life, I learned I need breaks: breaks from responsibilities, from taking care of the business and scheduling of home, from the visible to-do list that greets me when I walk in the door. My daughter went to summer camp, I took her and stayed a night on the coast, solo, for the first time since…since…before children roamed my home and ruled my life. I read “Gifts from the Sea” by Anne Morrow Lindbergh and I felt my soul breathe. In the heat of the summer, I both learned how to be better at my job, but then became so overwhelmed by other responsibilities that my article output grew lean. I am working on leaning in again. How often do your seasons of life change? When the season changes, the focus changes. From freedom to fourth period, from vacation to holiday planning. Fall brings with it a renewed focus on education, on getting things done and on getting things right, and on the future. The excitement of holiday decorating and pumpkin spice everything lies just around the corner. We are used to this happening but when the season in our personal sphere changes, are we ready to adapt? Can we step back, learn to say no the things we cannot do and yes to the things we now can? Can we accept our limitations when our former commitments prove too much? Can we ask for help? I am learning this as I go along. The good thing is, when we are living life intentionally, trying to do the best we can, there is very little room for “I should have known.” If you should have known, but whatever it is still happened or didn’t happen, there was some other obstacle, so now you know that for next time. Knowledge grows. Experience grows. Time not only moves behind us but it grows as we mark the years of our lives, the days on the calendar, the seasons on our storage boxes. Let’s see what it holds.